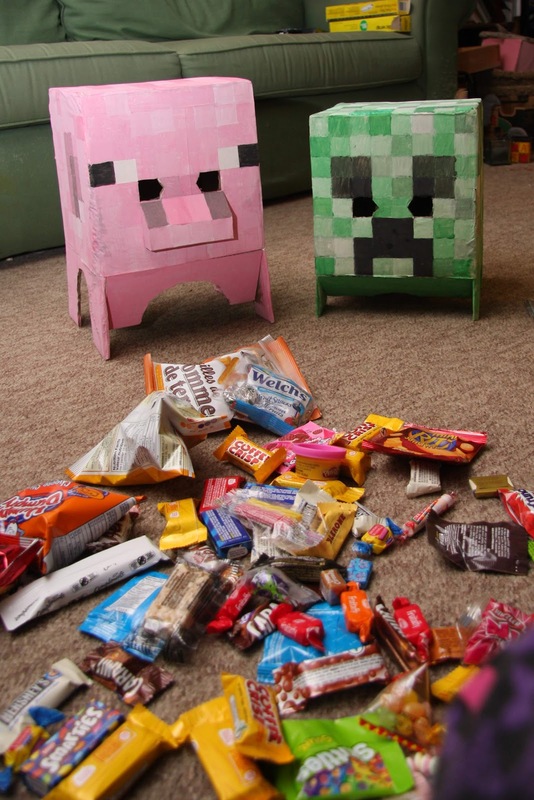 This Halloween found the world divided truly into two types of people. Those who know Minecraft, and those who think this is the1950s. 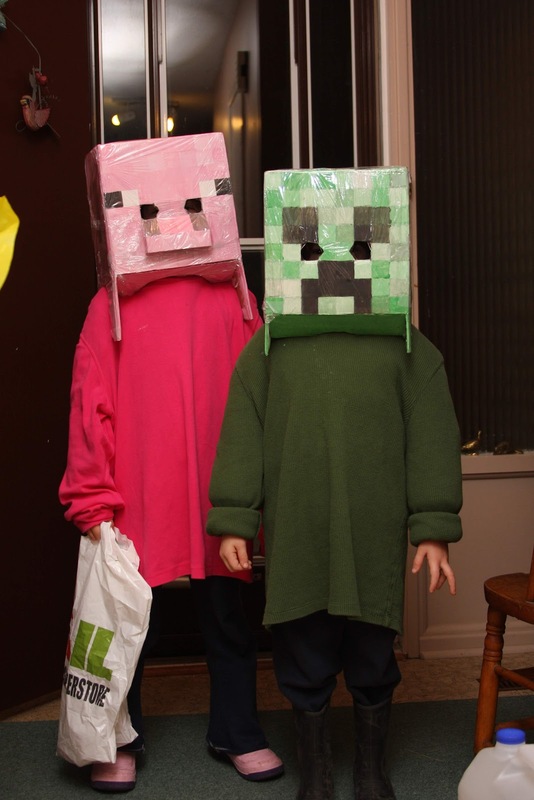 When anyone who knows Minecraft saw the kids, there was an instant bond and much respect bestowed. Everyone else said: robots! Seriously, when was the last time you saw a home made box robot costume. I estimate (completely ignorantly, really) it'd probably be about 1959. So, what I mean to say is that people universally lauded the little block heads as awesomely in touch with the coolest of modern culture (Minecraft! ), or else as delightfully and stylishly retro. And a good time was had by all. We won't mention the rain. Okay, we will mention the rain. The drizzle was constant, and ever so slowly and constantly increasing in intensity. Why didn't we bring an umbrella? I don't know. I did take the time to frantically and desperately (after all that work!) coat the box heads with plastic wrap before leaving... so the boxes kids had protection. And that's all that really matters, right? More pictures of our pixelated boxes, and the booty flowing therefrom, can be found here, if desired. And when we got home, and finished dancing on the piles of candy, we had a frighteningly sugar-fueled little video visit with Mommy in Halifax.